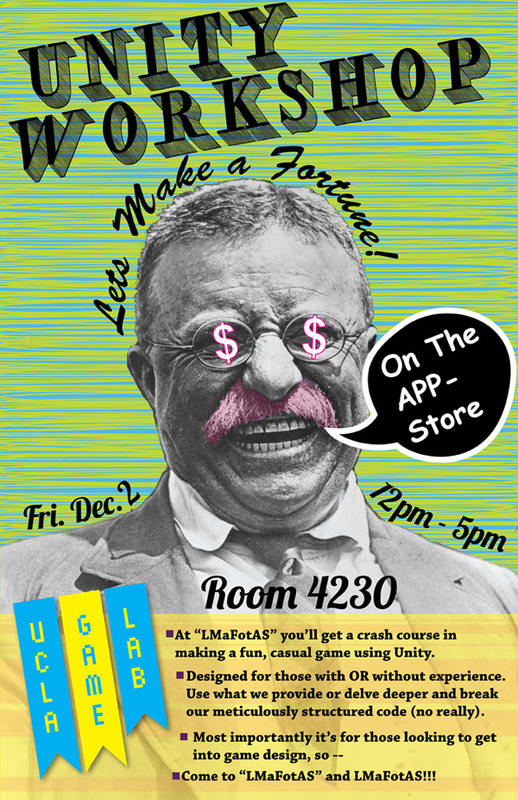 Unity Workshop – Let’s Make a Fortune! Get a crash course in Unity, the popular game design engine! Designed for those with OR without experience – come build your skills from the ground up, or tackle more difficult problems and meet other designers. Or even make a completely new game in five hours! RANDOM PROJECT FEED~ Lots of AWESOME projects here for you to check out! Click on some of these or visit our Games+ page to see more. The UCLA Game Lab is a research center at the University of Los Angeles California. It is supported by the School of the Arts and Architecture and the School of Theater, Film and Television.